The Plantronics CS70N Wireless Office Headset System allows users to communicate in style and provider them with unmatched comfort like no other. Plantronics CS70N Wireless Office Headset System is perfect for on-the-move employees and office executives. Whether it be conferring with colleagues, moving between meetings, or taking office calls, users can benefit from Plantronics CS70N up to 300 ft away from the desk phone or up to 100 metres in distance. Plantronics CS70N Wireless Headset has a lightweight and over-the-ear design that provides users with the comfort and at the same time with the top-notch audio quality available in the market. Considered one of the finest wireless headsets in the market, the Plantronics CS70N can connect to other phone brands like Commander, NEC, Avaya, Alcatel, Samsung, Panasonic, Siemens, Mitel, and Omni. Call us at Australia wide 1300 088 088 and find out if your system is compatible with the Plantronics CS70N. The HL10 Handset Lifter fits on user’s phone and allows user to answer calls with just a touch of a button, which also conveniently and automatically takes the handset off hook. Small, compact, and discreet, this optional accessory is compatible with CS60, CA40, and the A20. It also boasts its fast operation like no other. Established in the year 1961 and currently headquartered in Santa Cruz, California, Plantronics Inc. is a consumer electronics enterprise that specialises in the development and manufacturing of business communication audio equipment and solutions. The company’s products and solutions are also excellent for mobile use, music, and gaming. Also an expert in unified communications, Plantronics is currently led by president and CEO Joe Burton and is being supported by over 3,000 employees all over the world. Those employees are experts in their own fields and rights. 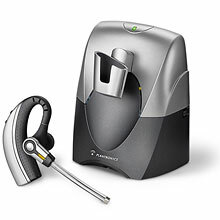 Plantronics is one of the leader and pioneer of several advanced technologies, including personal speakerphone devices and noise-cancelling technology. This is one of the factors that customers consider in choosing the best company that offers digital technology and capable of removing the barriers of smarter communications. Operating worldwide, Plantronics has several offices and major facilities in 20 countries, including the Netherlands, China, Mexico, and England. Telephonesonline Pty Ltd is the largest online store to be in operation in Australia. The company provides wide variety of products and services that all types of customers can take advantage of. 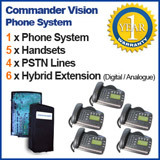 These products and services include Conference Phones, Payphones, Long range Cordless Phone Systems, Spare Phones, Line Fixing, Least Cost Routing with GSM Gateways, Door Phones, Corded and Cordless Phones, Corded and Wireless Headsets, Data Cabling, Free Phone Support, and Phone Systems Installation and Relocation. 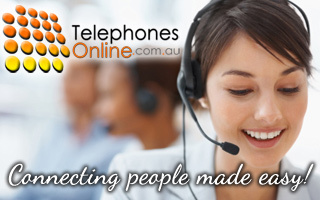 Telephonesonline offers these products and services with the help of their official website, Telephonesonline.com.au. The company provides these products and services to customers in the site where they can easily skim through the company’s product portfolio and check out the items that they need without any help from the company’s representatives. It also has several offices strategically located all over the country, to help in the prompt delivery of the products and solutions they offer.